At Coventry University, we send more students away on UK and international trips than any other university and that’s according to the experts (HESA)! 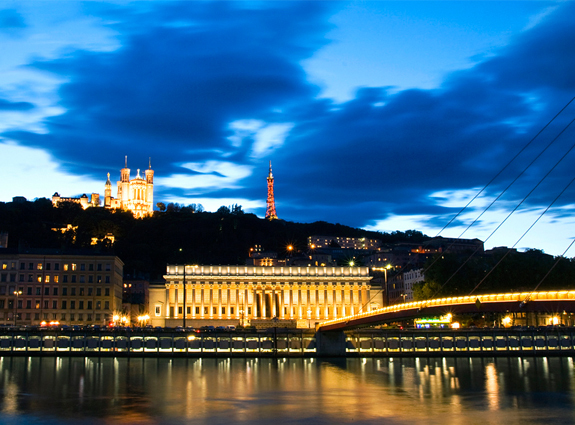 Alice: The student trip to Lyon was an excellent opportunity for a number of different reasons. I had the chance to practice my French language skills in a real life setting and this helped my confidence with speaking French. Secondly, going to Lyon with people I did not know before the trip was the perfect occasion to test my interpersonal skills and build my confidence. 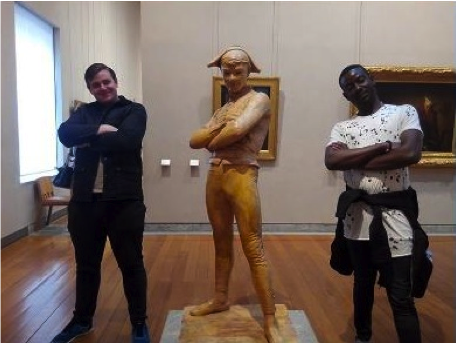 We all had the shared interest of learning French and immersing ourselves in the French culture, which was interesting and worked well as a common ground. Muhammad: Information about the trip that was passed on to students was adequate and timely. This assisted in the smooth processing of my travel documents. The pre-departure briefing also helped prime my mind regarding the activities I would engage in for the trip. Kaouther: It was a great chance to visit a beautiful city and discover the French lifestyle. It was also an opportunity for 19 strangers from different backgrounds and different cultures to get to know each other and network while having fun. Alice: The excursions on the trip were truly excellent to get a real flavour of Lyon, and France as a whole, and I thoroughly enjoyed the opportunity to explore the city and surrounding areas. The tour guide was outstanding throughout the trip and the knowledge and enthusiasm that she brought was inspiring. I particularly enjoyed our trip to Annecy. Annecy is an outstanding location and I feel lucky that I had the opportunity to go there. Also, the large church in Lyon which we visited is breath-taking. I am glad that we were given enough time to fully enjoy the sights and explore the church without being rushed. Muhammad: The tour of sites was well organised and hitch-free. The sites were amazing and very interesting; we tasted varieties of French cuisines and enjoyed the warm weather. 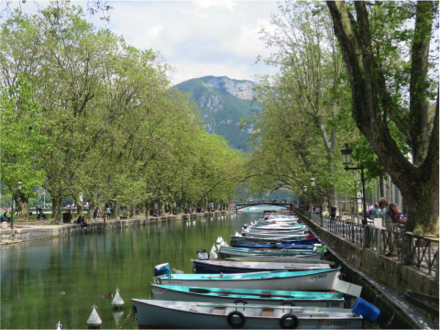 We visited Lake Annecy, Parc de la Tête d’or, the Museum of Fine Arts, the Confluent, Pérouges, and more. Alice: I believe the trip was a huge success; I thoroughly enjoyed myself as I had the chance to practice my French language skills, be immersed in the French culture and see many culturally and historically notable sights. I feel there were so many things to see and enjoy in Lyon, and the tour guide gave us the right amount of time to teach us. 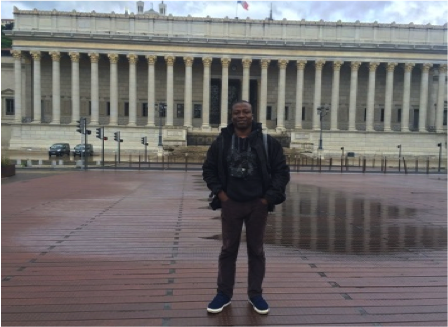 Muhammad: Having learnt a bit of the French Language, it was a dream come true for me to have had the opportunity to visit Lyon, and to experience some of the French culture. 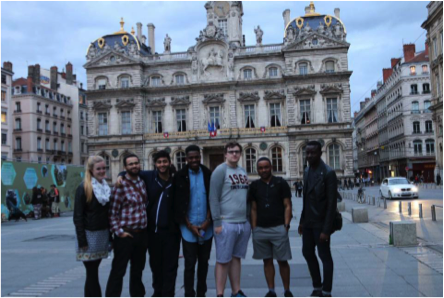 It was an amazing experience all through, from the preparations, the journey and tour of various historic sites in Lyon. Kaouther: I would like to thank Linguae Mundi for this amazing trip. I also want to thank the three amazing guides who made everything easy for us and even managed to adjust the programme according to the unpredictable weather and managed to make us fall in love with the City of Lyon. What Is A Linguae Mundi Field Trip? To support your language and cultural learning, the Linguae Mundi programme aims to offer opportunities to take part in language focused field trips to different destinations such as France, Spain, Italy, Germany, Greece, Turkey and Jordan. Field trips are different each year and include visits to popular cultural attractions such as museums and historical sites.